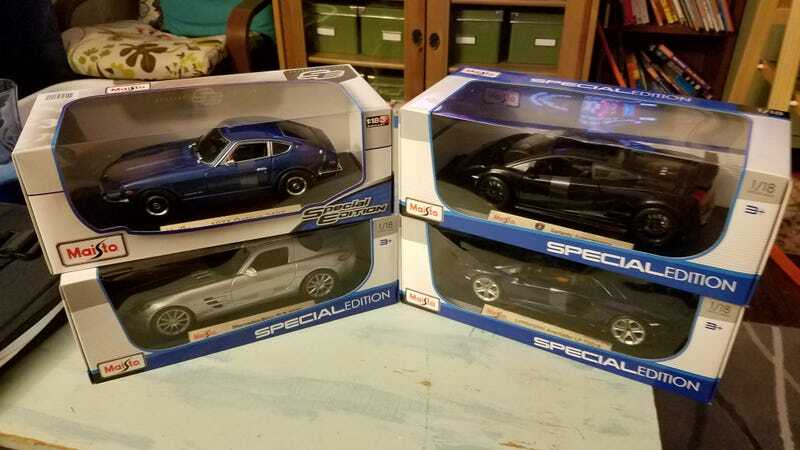 The Datsun was one I bought for myself back before Christmas and the other three were Christmas presents (that I may or may not have picked out...). They’re still in boxes at the moment as I have no shelf space to display them on. But we’re working on redoing some shelving in the bedroom and the playroom, so space will come ... eventually, lol. Anyways, happy 1/18 Day everyone!